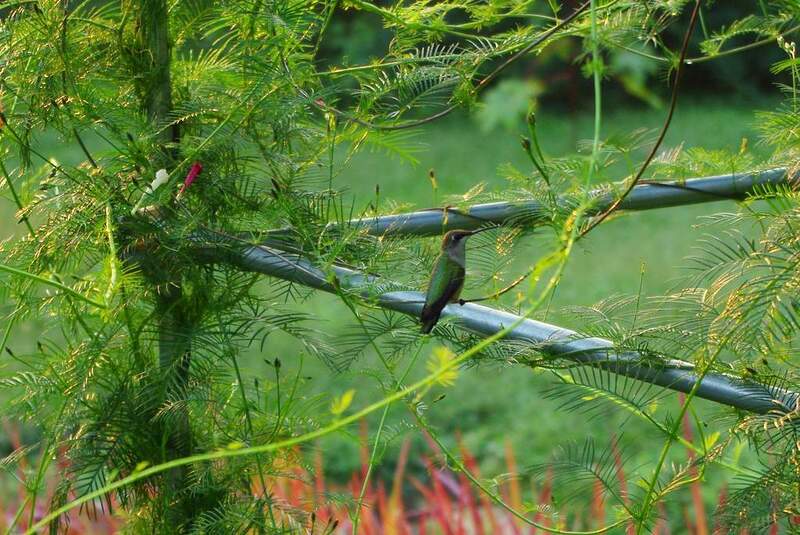 Late summer is hummingbird season in my garden. 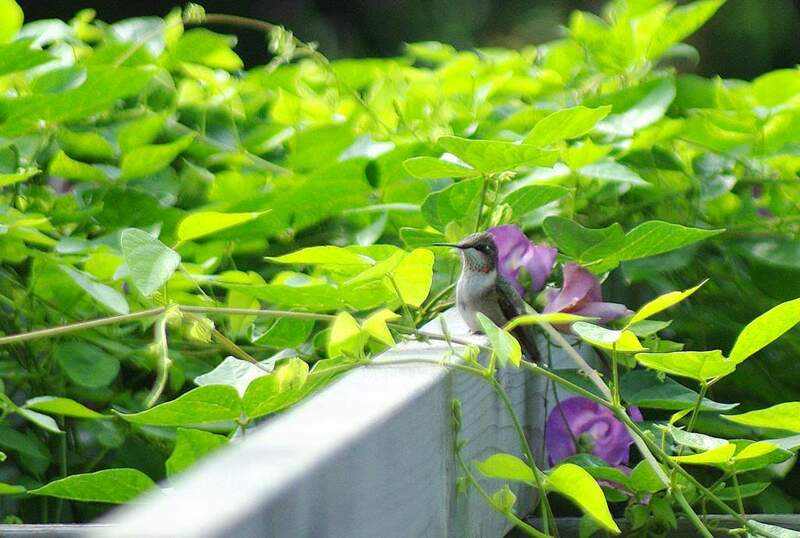 There's constant traffic around the feeders, flowering vines, and other hummer-friendly flowers. They're seemingly always moving around, chasing each other away from favorite feeding sites, the air filled with their chirping and twittering. As I walk around the garden, tiny birds buzzing over my head, it seems to me that hummingbirds don't know the meaning of the word "rest". That's not true though. Watch long enough, or look hard enough, and you'll see that they do actually stop for breaks when they can. Sometimes they just perch in order to keep an eye on the feeder, ready to chase off anybody else who comes close. Often this means that their rest period is only a few seconds before they're off chasing another bird away. Sometimes they do get a chance to "laze" around for longer, preening, or just watching. 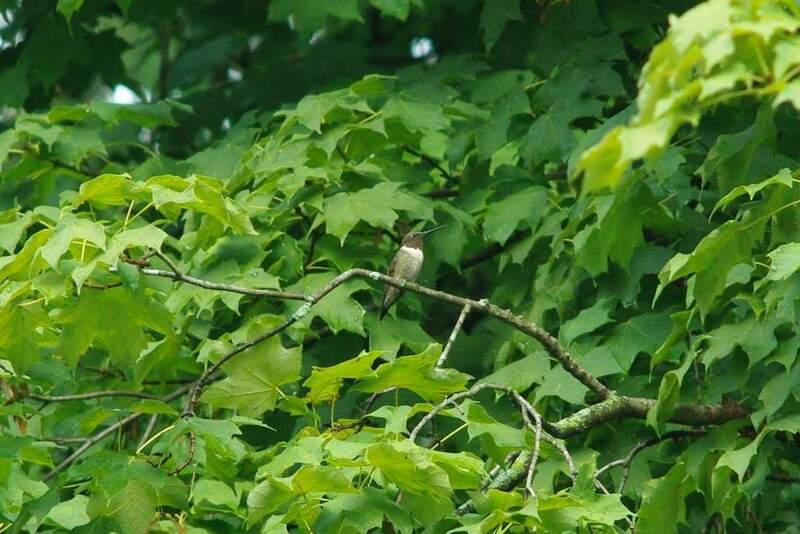 As you may imagine, it can be difficult to see a hummingbird at rest, depending on the spot it's chosen. Although they almost never let another bird near the feeder, it seems to me that sometimes they just get too tired or hungry, and just give up for a few seconds. 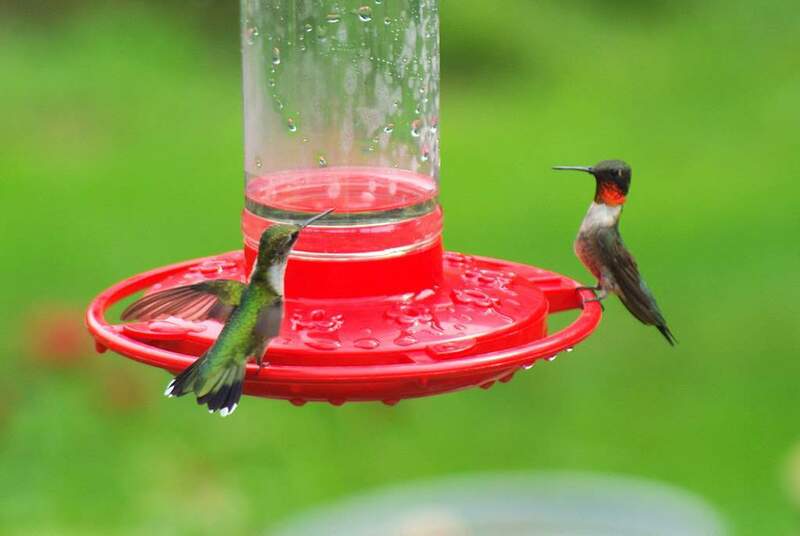 I've read that hummingbirds don't "walk" when perched. You won't see a hummer sidestepping along a branch for instance. If they want to move a few inches down the branch, they fly there. 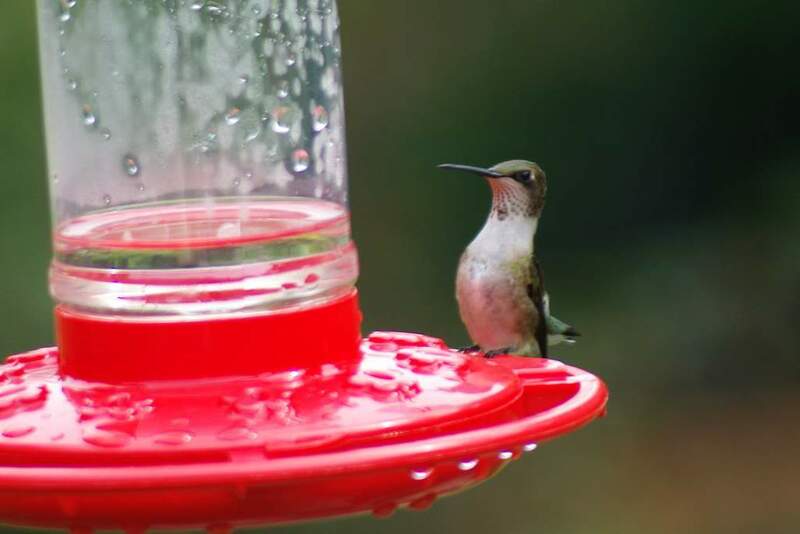 If there is any bird that deserves a rest, it's the hummingbirds. Besides all of the high-speed chasing going on they have a long trip ahead of them in 6 weeks or so: they need to fly over the Gulf of Mexico on their fall migration trip. 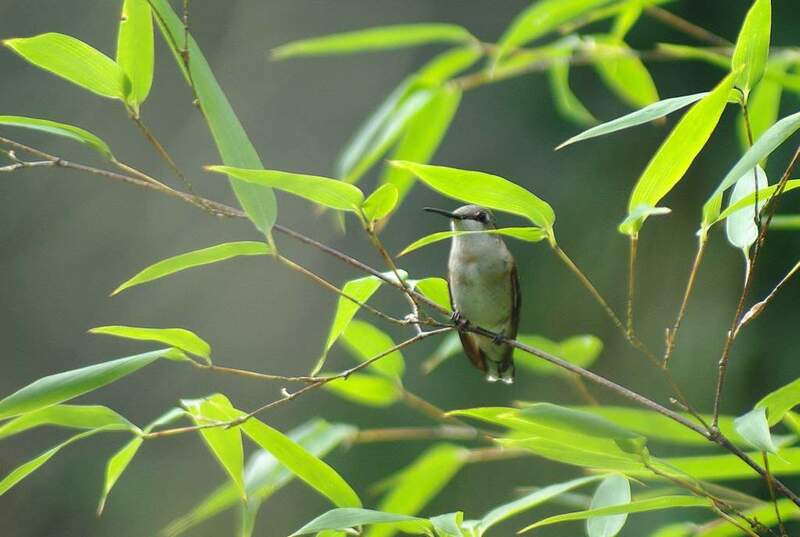 Ruby-throated hummingbirds spend the winter along the west coast of Mexico and through Central America to Costa Rica. That's an amazing trip for such a small bird! 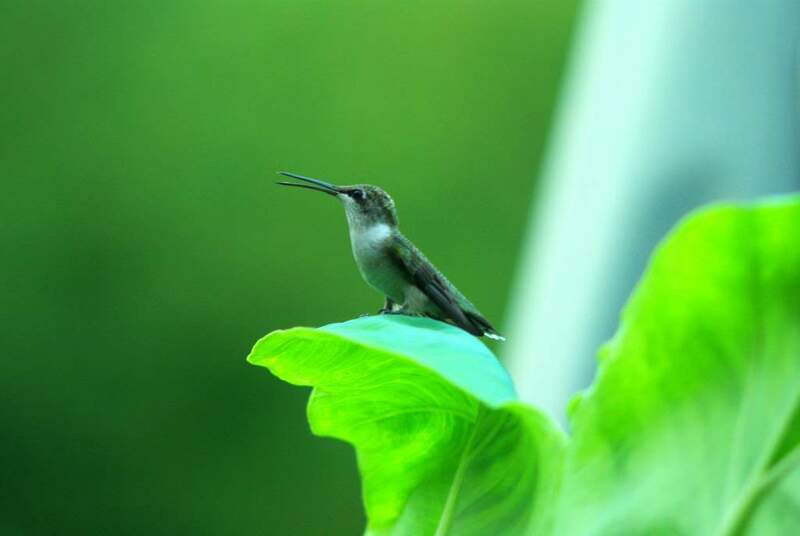 So I say: "Rest up hummingbirds!"